Thoughts of holidays at their new French home is enough to put a smile on the faces of the Andrews family, who saved money by using Smart Currency Exchange when they purchased across the Channel. When Mark and Judy Andrews from West Sussex found their ideal French property, a traditional farmhouse in Poitou-Charentes, they used Smart Currency Exchange to send money to France to pay the deposit. 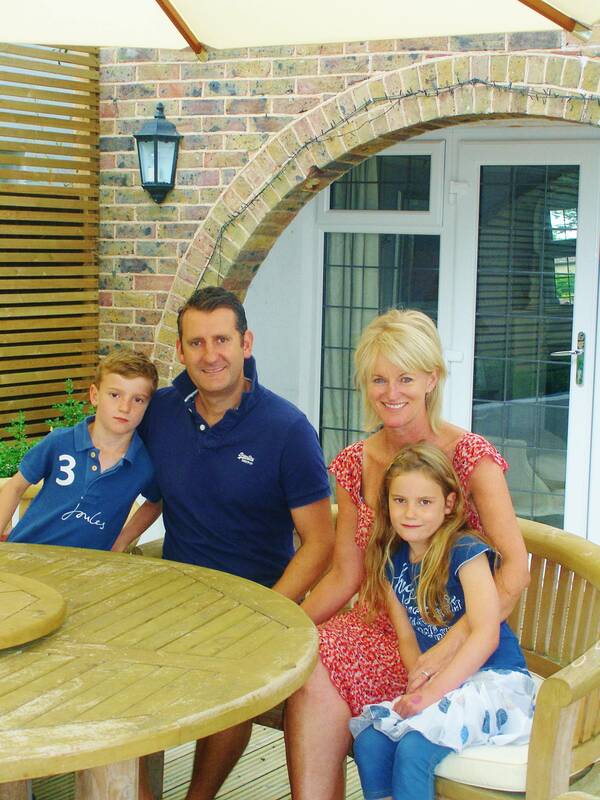 Mark and Judy, who live in Horsham with their nine-year-old twins James and Isabella, have enjoyed numerous holidays in France, principally in the south-west, as well as winter trips to the Alps. Judy speaks French, was once an au-pair in France and has worked for a French oil company. When the couple began their hunt for a French property, they knew they wanted to be near Angoulême and within striking distance of their favourite coastal resort, La Rochelle. Boasting beautiful countryside views, the Andrews’ property is near Montboyer and has been renovated to a high standard, preserving features such as stone fireplaces and oak floors. It has three bedrooms and three bathrooms, and comes with more than half an acre of land, including an in-ground swimming pool. Offering better-than-bank exchange rates and a personal service means Smart Currency Exchange can help buyers of French property save money and time on currency transfers, not only with the initial purchase but also with on-going costs, such as mortgage payments and bills. They can also assist people repatriating funds to the UK from the France, including vendors of French property.